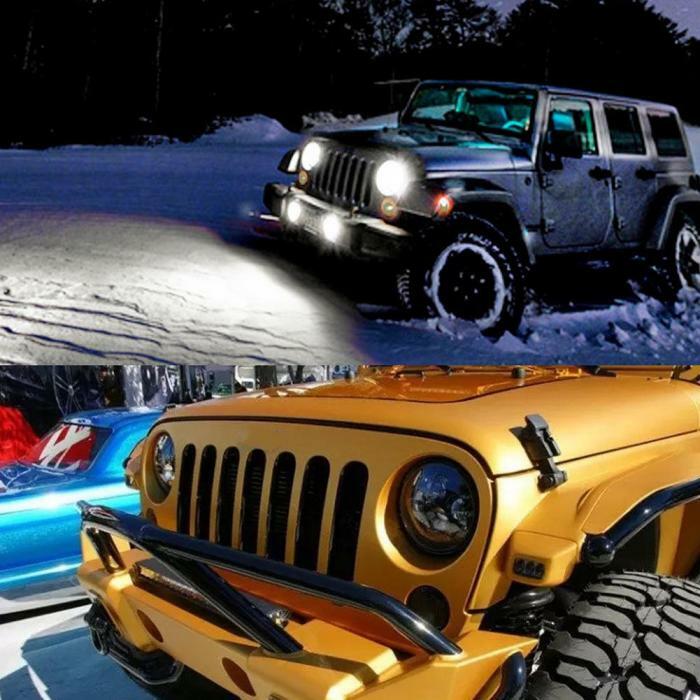 Firebug 7 inches LED Headlights is Multi- function - With DRL, High/Low Beam light, Halo can be White or Amber. 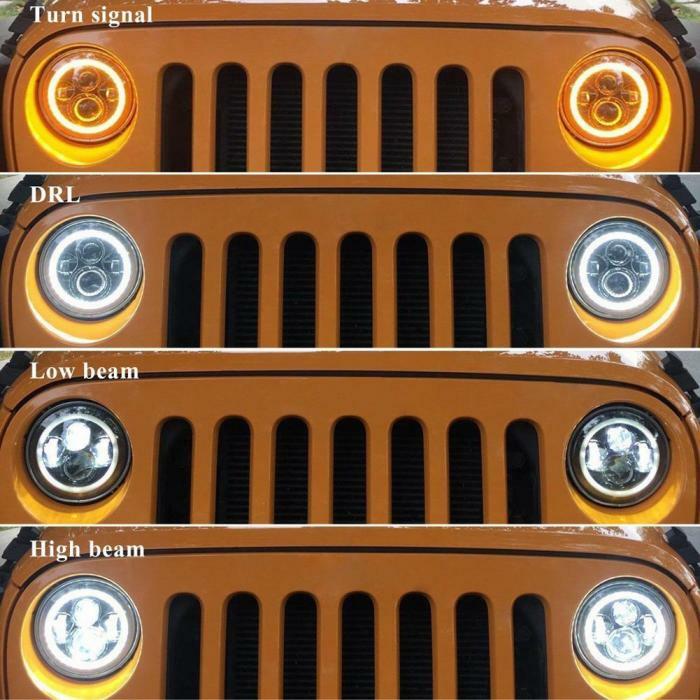 Amber is for turn signal; white is for DRL. 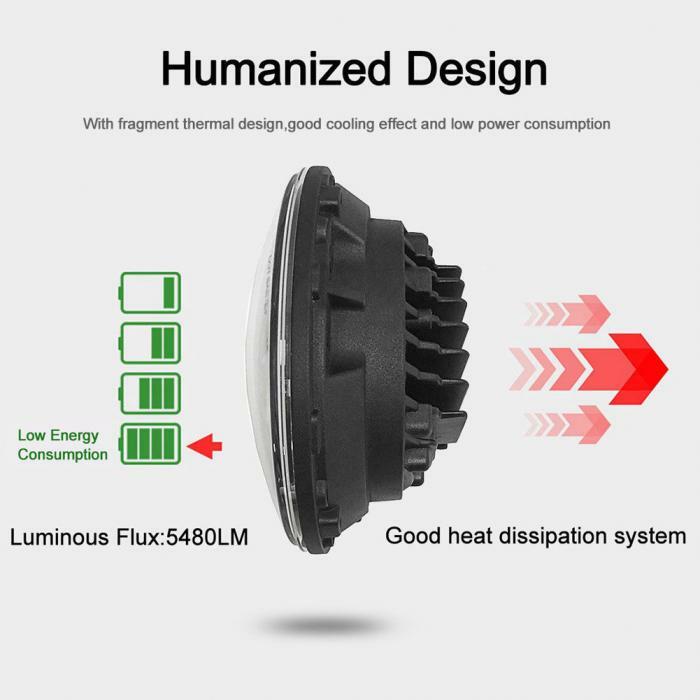 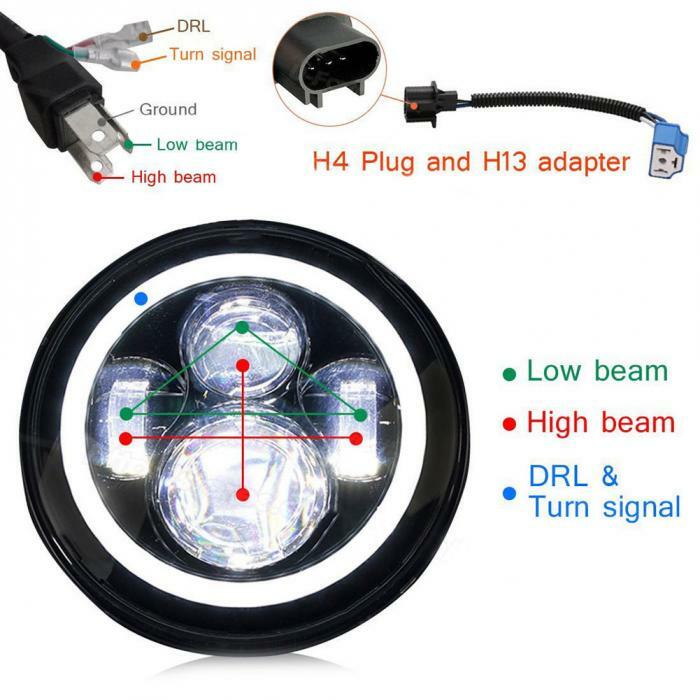 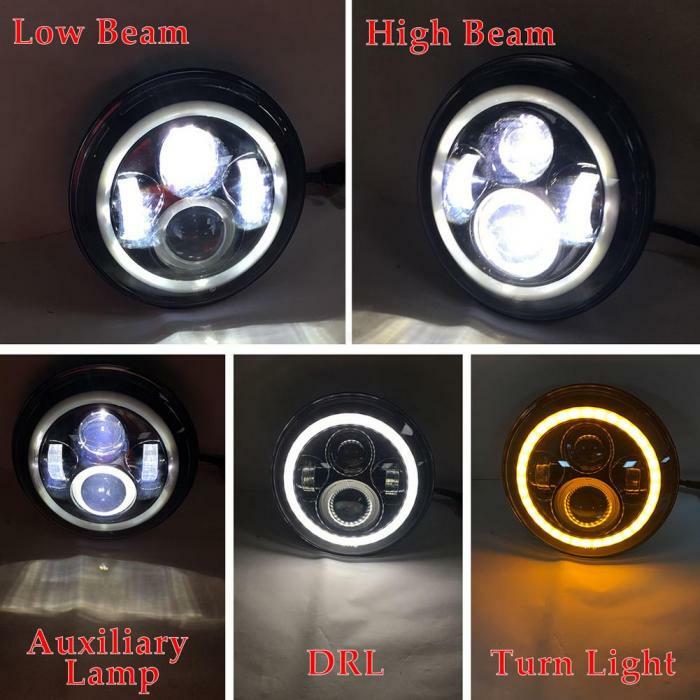 Newest Fantastic Halo Angel EYES Design LED Headlight DRL replaces original halogen and HID headlight, faster on/off response time, striking Warning effect to enhance driving safety. 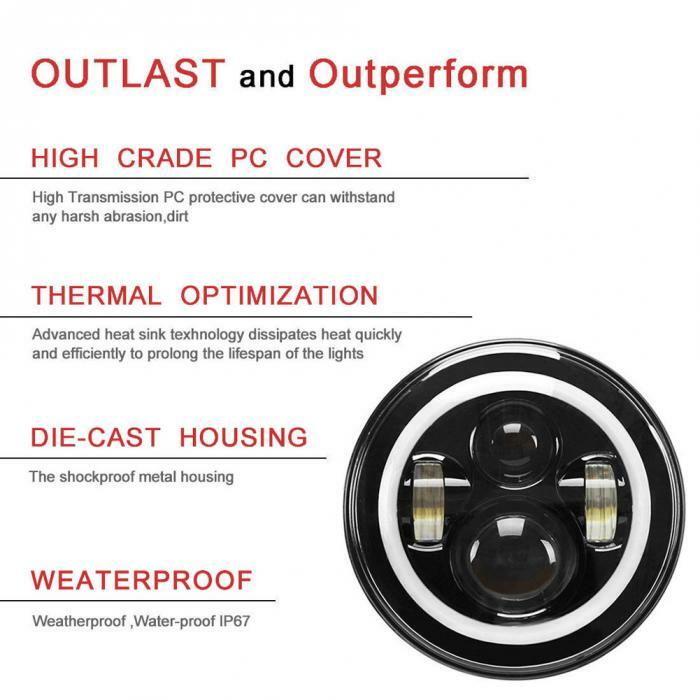 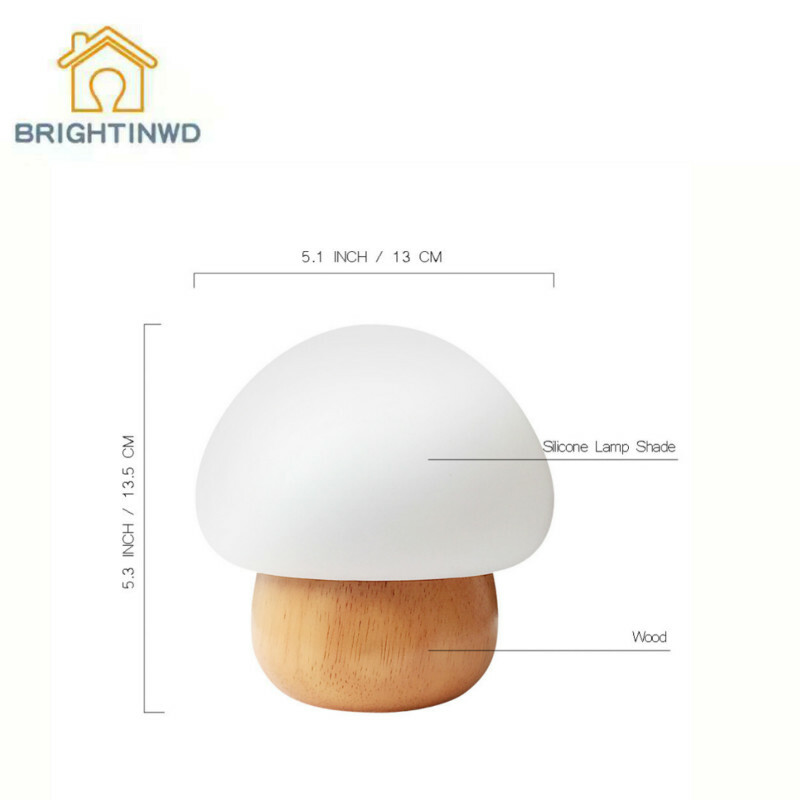 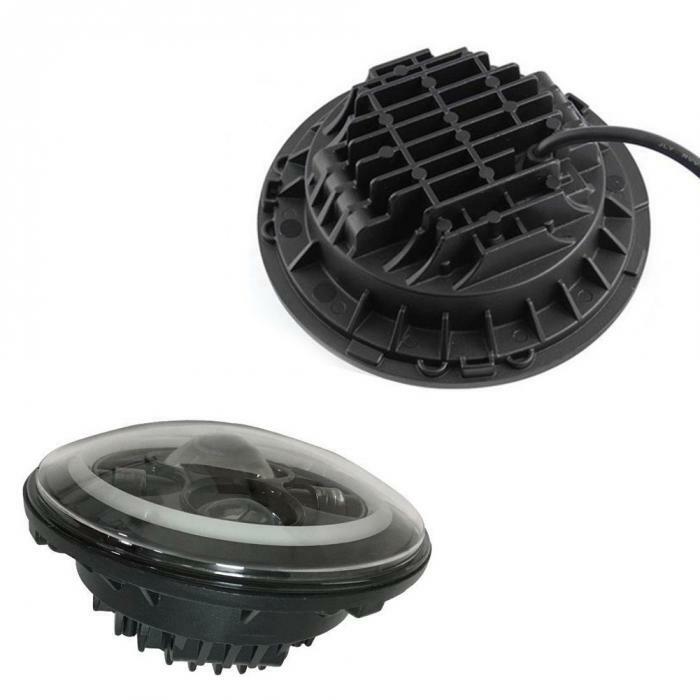 Weatherproof, low power consumption, long lasting - Super bright: 4pcs*10w high intensity CREE Led Chips.